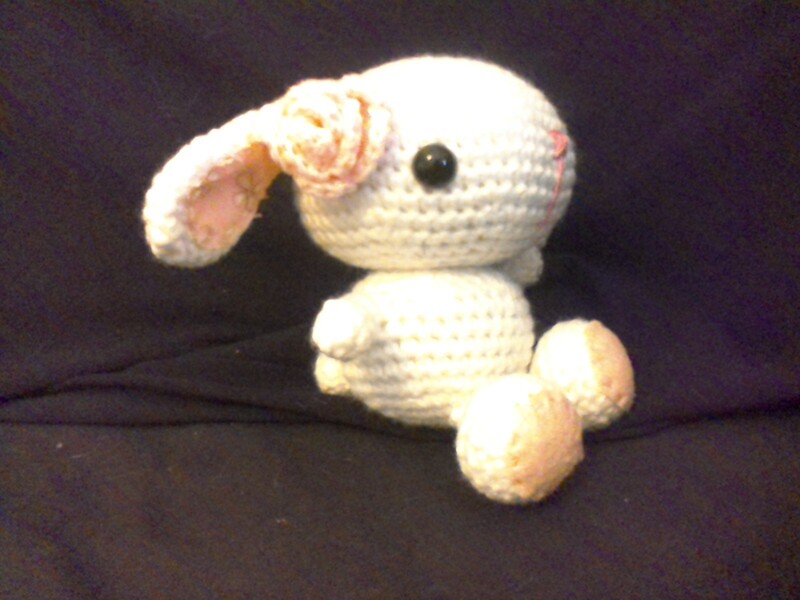 I also just finished a girl bunny for spring! 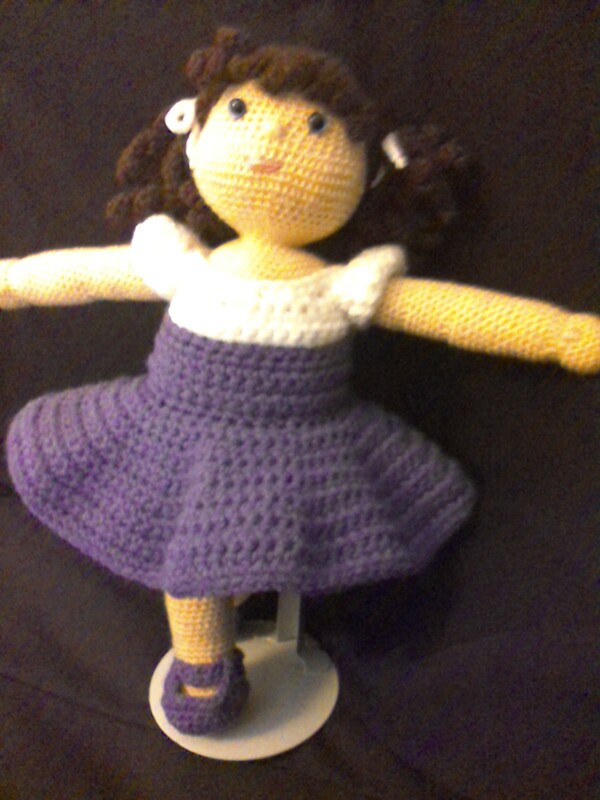 The pattern was created by Stephanie Lau of allaboutami.com. 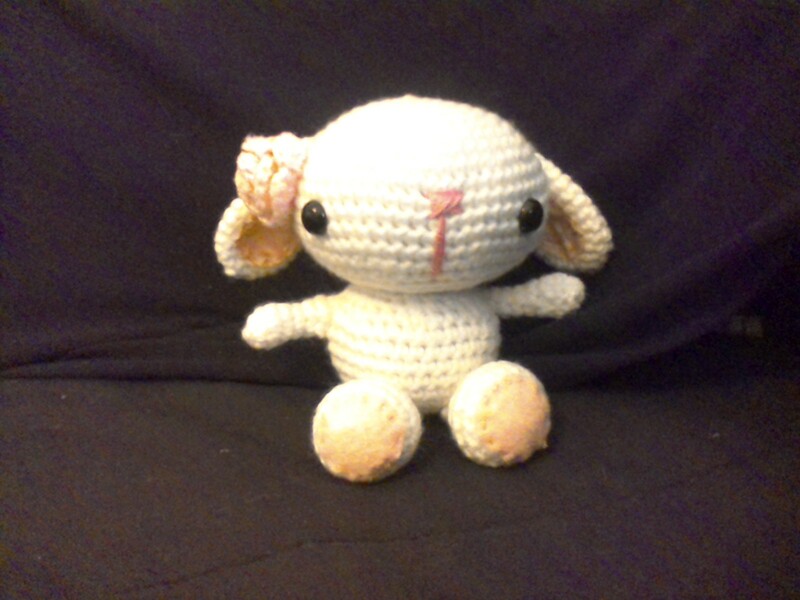 I am in the process of making her companion boy spring bunny. That is about it for now! 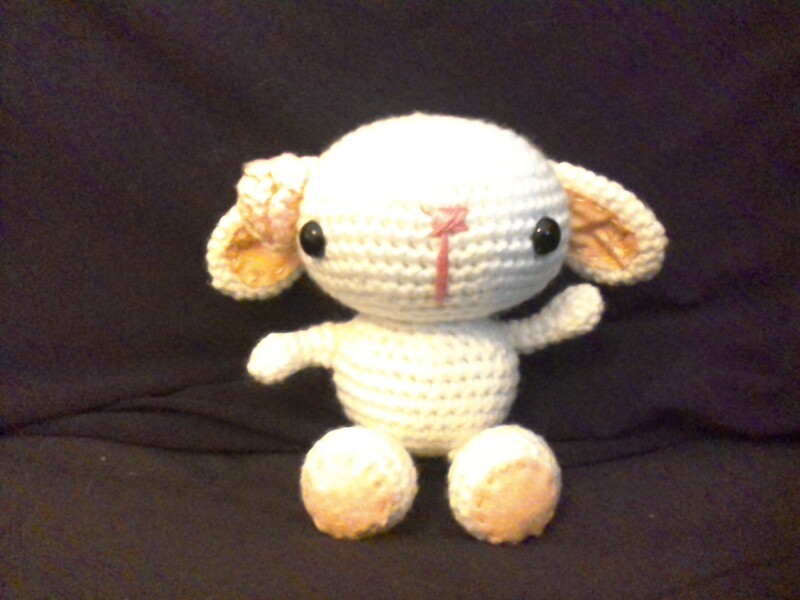 If you would like to purchase anything on my blog please contact me at Tanya@cabincrochetcreations.com! Coming soon! A shopping cart on this blog! I want to make it easier to purchase any of these creations. Have a blessed day! Yay!! 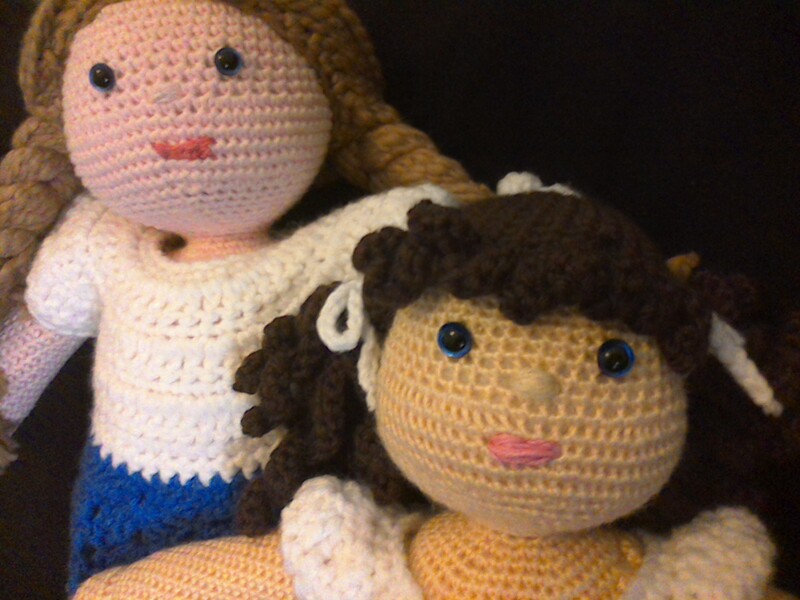 My new website domain name is just cabincrochetcreations.com!! Hallelujah! 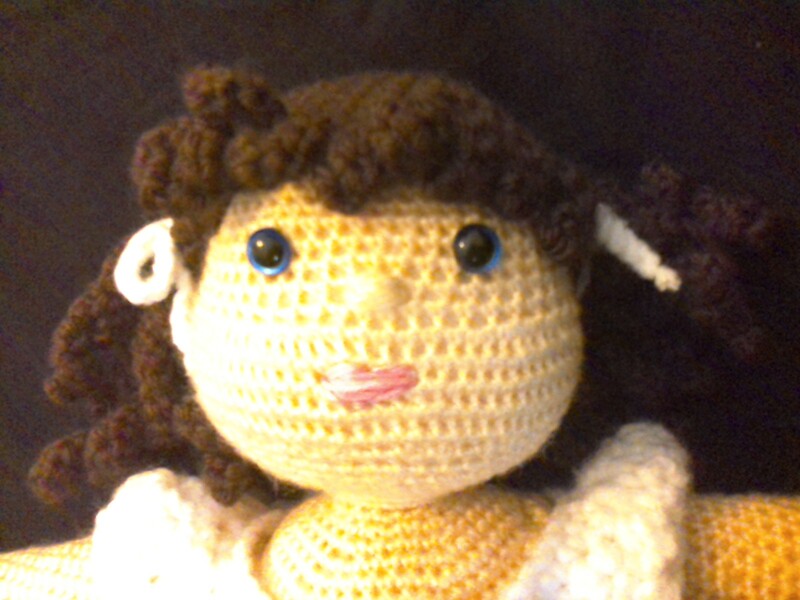 And my email address is Tanya@cabincrochetcreations.com! Isn’t that cool?! Probably not to you, but for me it is pretty special. I am also going to be adding a shopping cart where you can use PayPal or any other card to purchase any of my creations directly from here! I will be adding specific “pages” of items so you can shop directly from here! 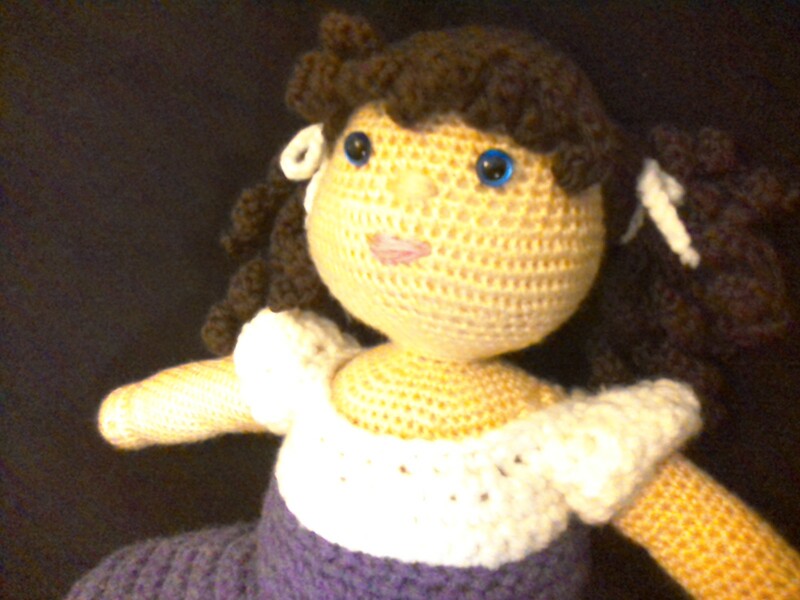 Some stuff, that I will have to make per order, like the princess, will take about a month to make, give or take a week depending on other orders. As promised, here is the new hat, in my line if hats, lol! This is the African flower hat. I have other colors available, or I can make you one with colors that you pick! Soon to be on my “hats and mittens” page for you to purchase! I just love it! It is a slightly slouchy beanie, but it looks more “beanie” than “slouchy”!